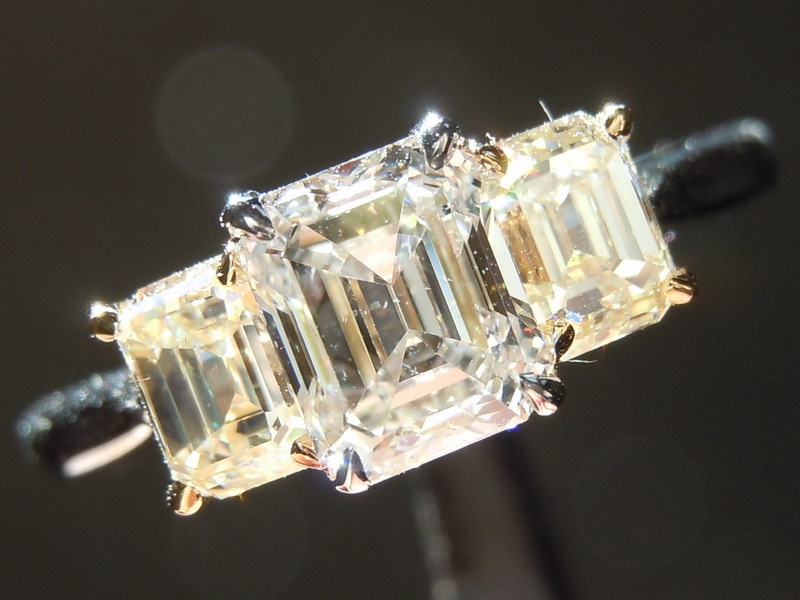 Emerald cut diamonds present some unique challenges for internet buyers. You really can't tell much from the numbers. 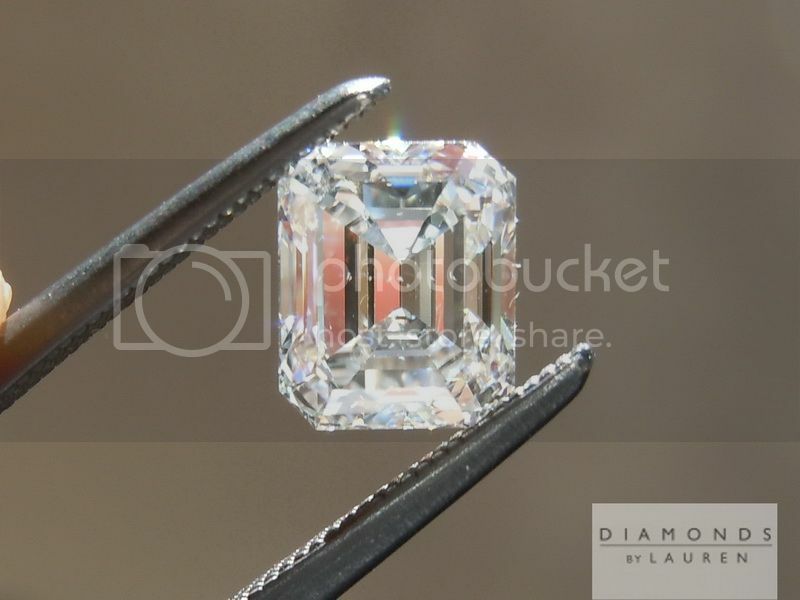 Emerald cuts also offer greater challenges in photography. 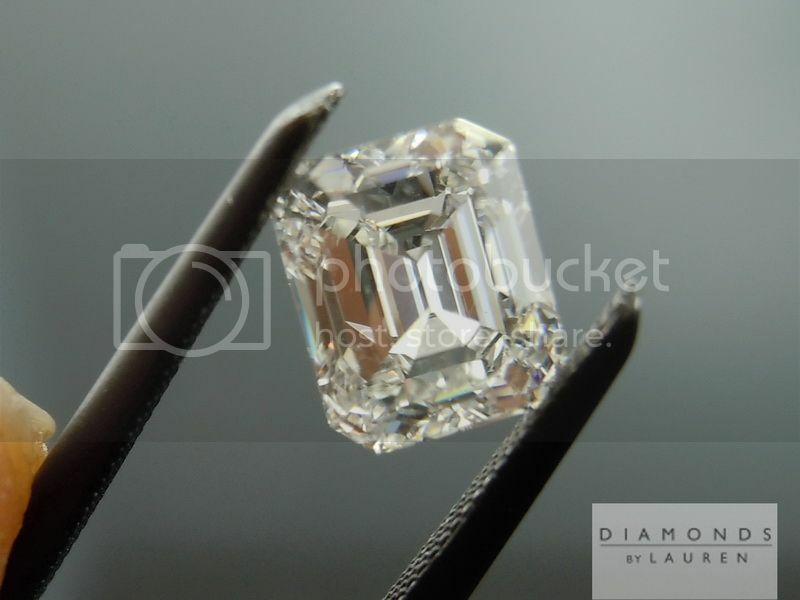 Basically, I like the pictures I take of the emerald cut diamond, but I think they look better in person. 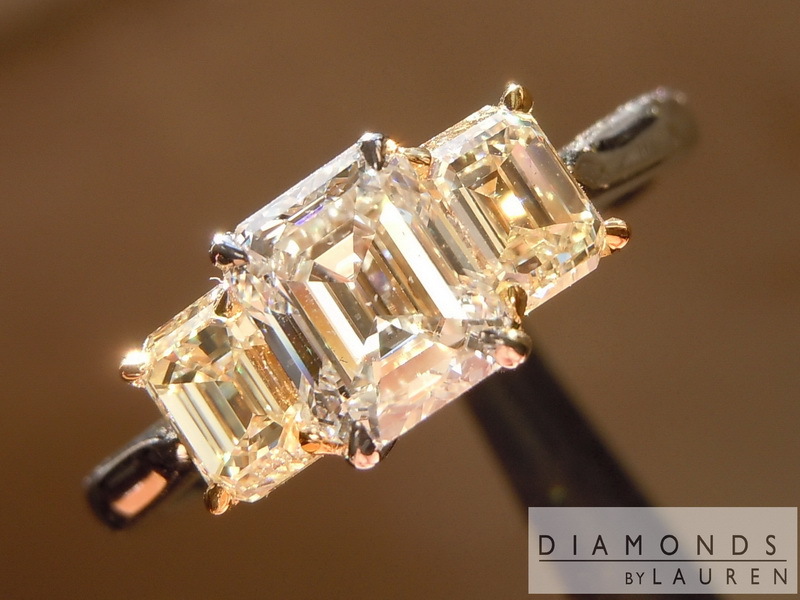 I should say, that I am prejudiced towards beautiful emerald cut diamonds. 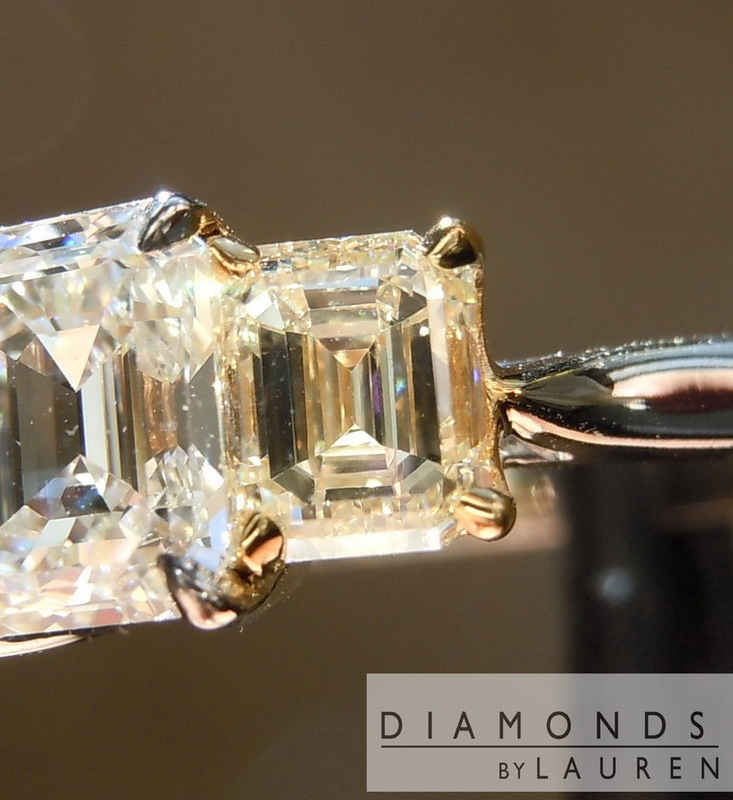 If I have to name my favorite shape, it's probably emerald cut. 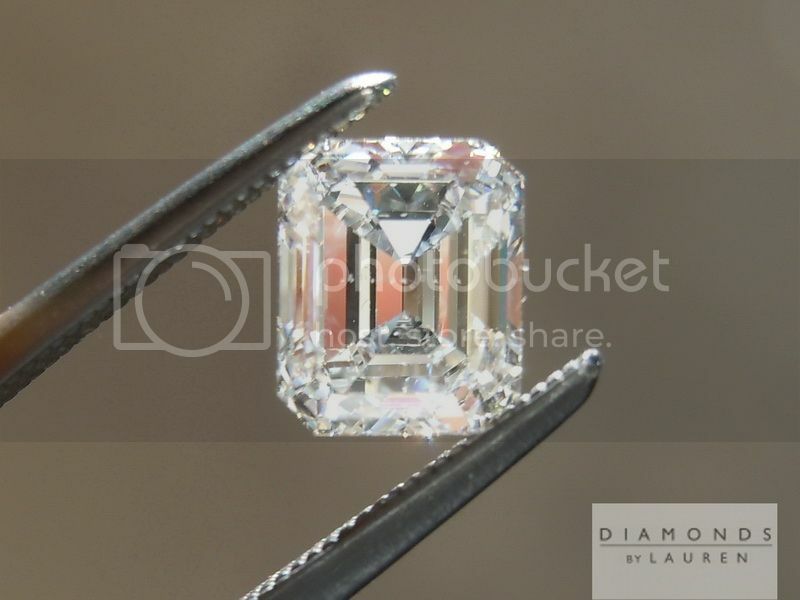 There's something about the way you can actually see the material of the diamond in an emerald cut that is appealing to me at a very deep level. Always has been. So I pick stones that I love. 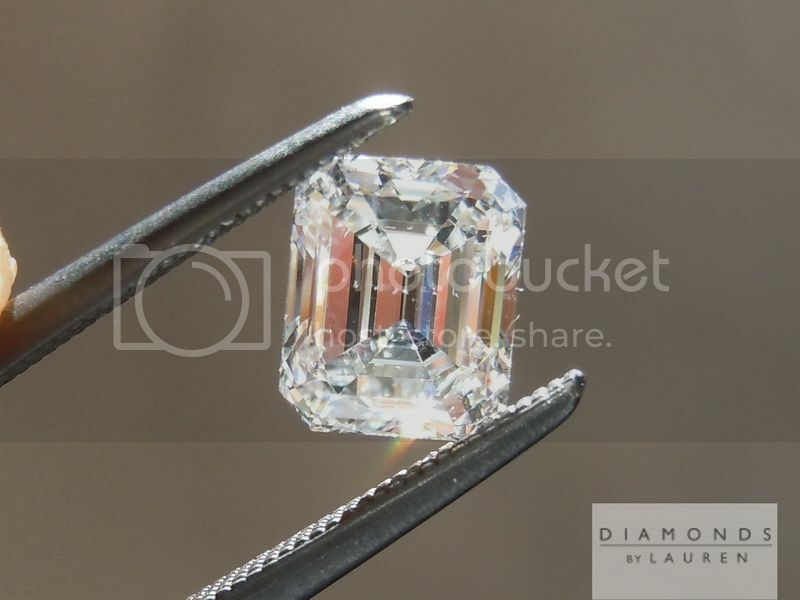 In this case we have a beautiful, colorless, G color SI1 clarity. 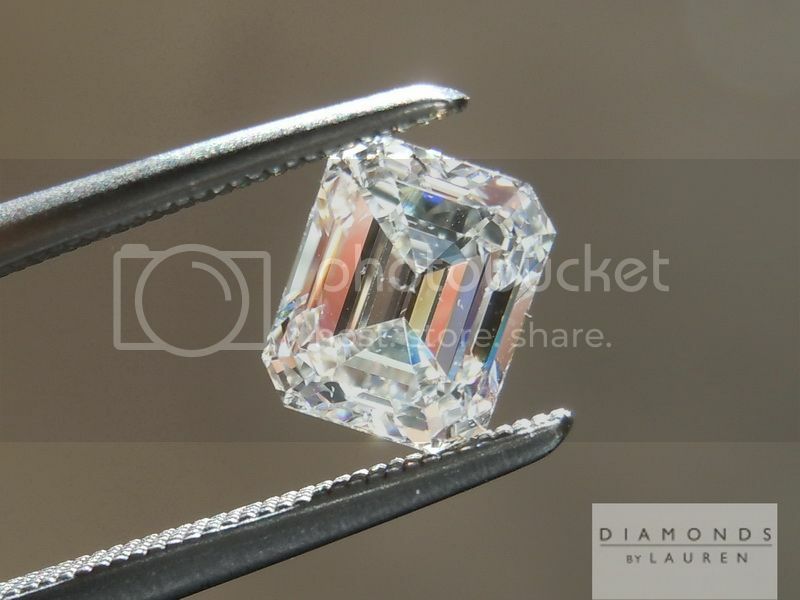 With regards to the clarity: you can see the reason why was rated SI1 in the photos. In person, those tiny specks are just about invisible to most people. 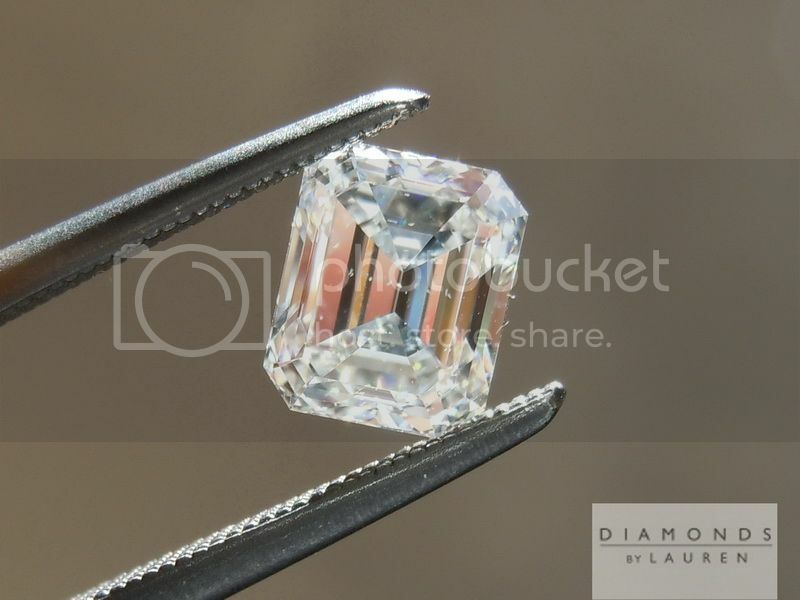 Looking at the photos, if you think it might bother you, this is not the stone for you. I can tell you that in my experience, at approximately 6 inches to 12 inches from the eye, I cannot make out the imperfections. 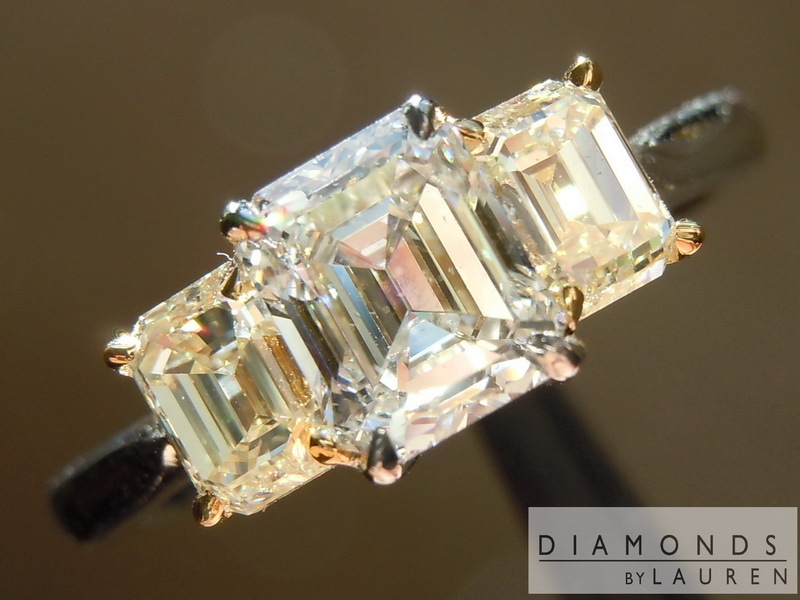 What I can see is the dramatic shape, and the beautiful colorless nature of the diamond. The steps are absolutely gorgeous on the stone. 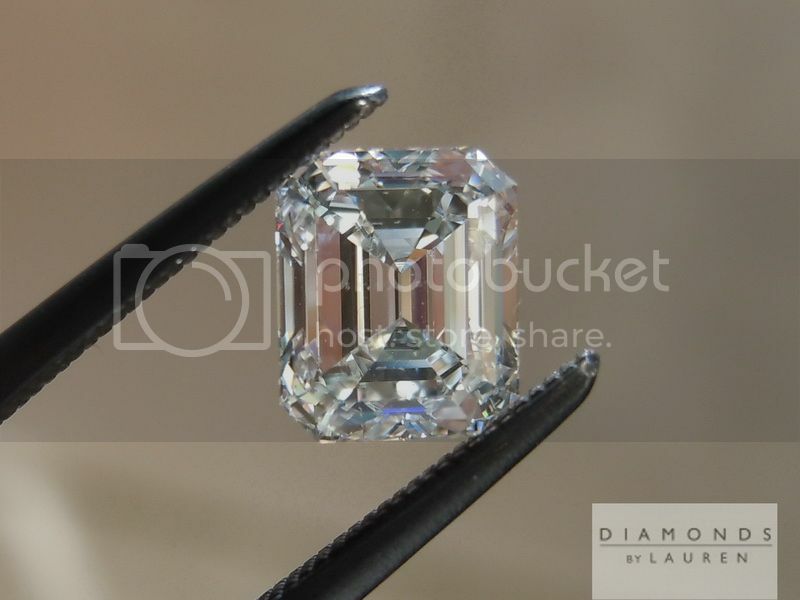 It is also a great value at .94 carats. I love this ring! 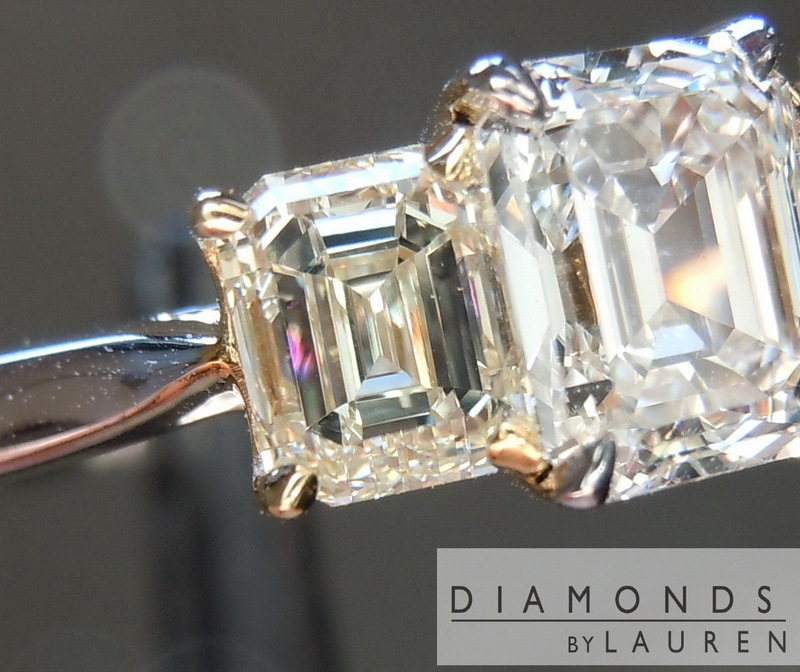 It is a truly classic design with a pop of color. 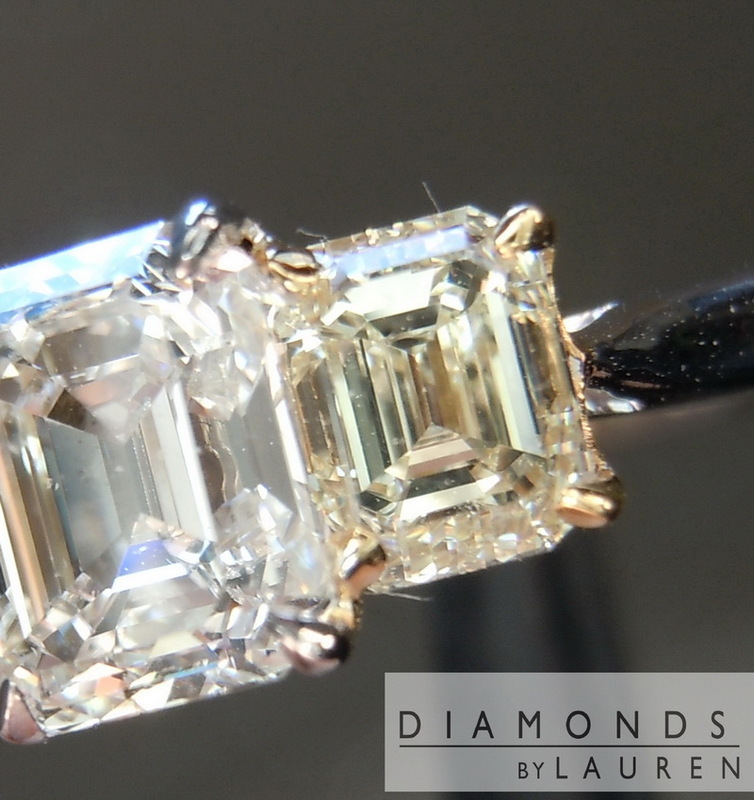 We chose two beautiful light yellow emerald cut diamonds as the side stones. Each are beautifully cut, showing gorgeous steps. You truly get lost looking into this ring.